Hi hi hi hi hi! I want to know how I can get more points?!? Everyone I know has gotton lots of points! How do I get them?!?!? Well I'm pretty sure you get points for posting. 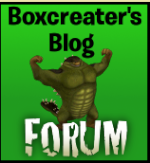 You can get points for posting, buying memberships, ( not avalible at the time) helping out around the forum, donations. Hope this helps!